Actually, it’s not the battles and history that I find fascinating, but the dynamics aboard a ship. You have to keep a whole bunch of people in battle ready shape, despite closed conditions and lack of outside resources. How do you do that? What happens when someone isn’t a team player? How do you make hard decisions when you have nowhere to go if things go poorly. 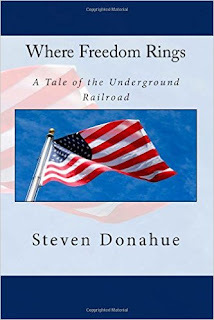 This novel was a blend of realism and fantasy elements. How did you interweave these elements into the story to make it believable? I’ve always thought of magic in this world as a genetic mutation, a “condition” with benefits and costs. So the story is about people first and foremost. It’s like, if you have the flu - you are still you, you just have to deal with the effects of the flu while you are still you. Also, the negative consequences of magic are built around known real world conditions such as epilepsy, asthma, hemophilia etc. 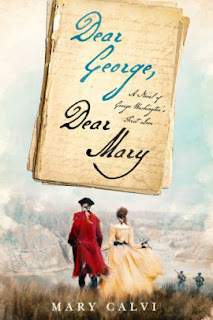 What were the challenges of writing the novel? How long did it take to construct Air and Ash? This novel is the first in the series. Did you initially tend to write a series or did it evolve when you were writing? AIR AND ASH and WAR AND WIND started out as one book, that I then decided to split into two books to tell the fuller story. I wasn’t planning on book 3 until I got such a strong reader response that I gave in. So now TIDES 3 and 4 are in the works. Do you know how many books are going to be in the series? 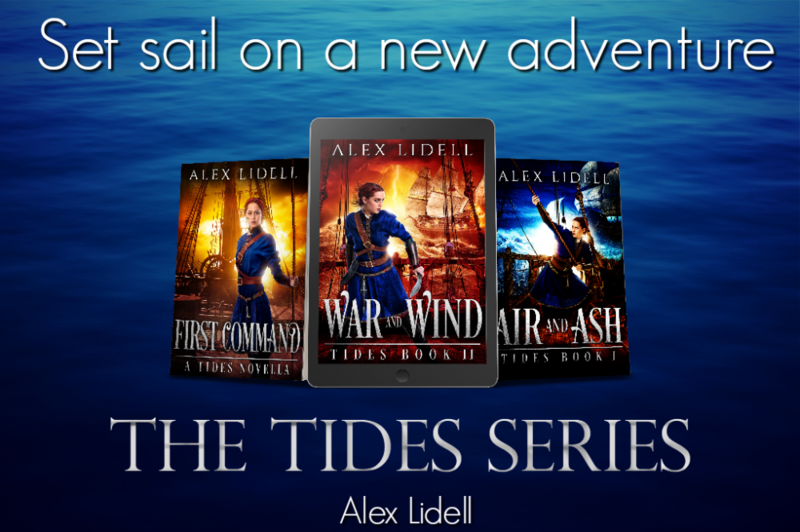 It was supposed to only be the two books… but now I have TIDES 3 and 4 coming. I don’t know whether there will be a TIDES 5, because it depends on whether I can wrap up the new story arch in the two novels. That if you are absolutely certain that a particular thing/decision/situation is Right (or Wrong), then you don’t know the whole story. There are nuances in everything. After a lifetime of training, 17-year-old Princess Nile Greysik, a lieutenant on the prestigious Ashing navy flagship, sails into battle with one vital mission – and fails. Barred from the sea and facing a political marriage, Nile masquerades as a common sailor on the first ship she can find. 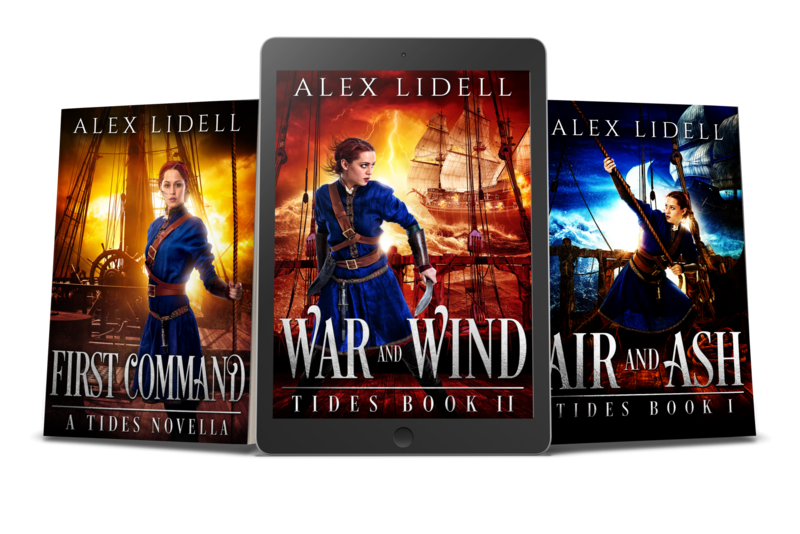 With a cowardly captain, incompetent crew, and a cruel, too-handsome first officer intent on making her life a living hell, Nile must hide her identity while trying to turn the sorry frigate battle worthy. Worse, a terrifying and forbidden magic now tingles in Nile’s blood. If anyone catches wind of who Nile is or what she can do, her life is over. But when disaster threatens the ship, Nile may have no choice but to unleash the truth that will curse her future. 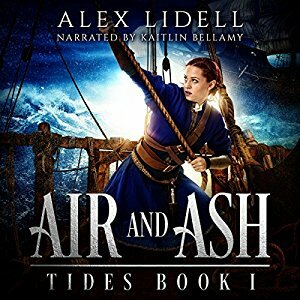 Air and Ash is the thrilling first installment of the TIDES series. 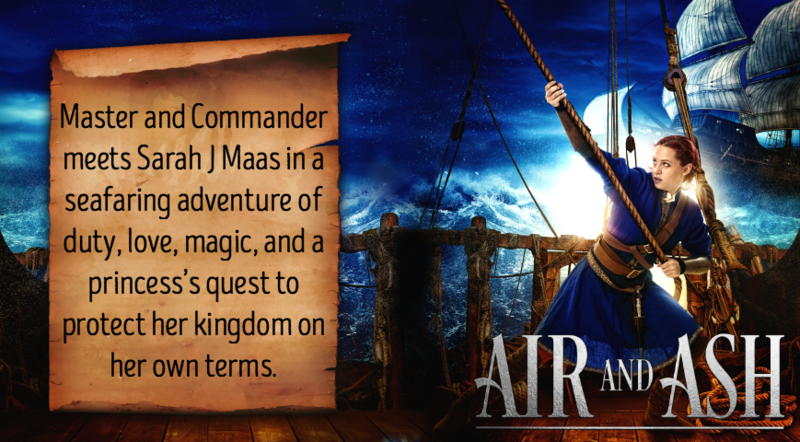 Recommended for fans of Sarah J. Maas, Tamora Pierce, and David Weber. 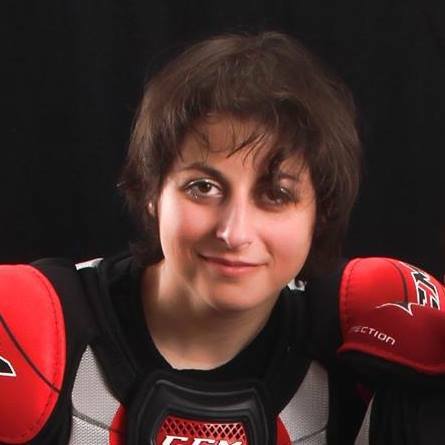 Kaitlin Bellamy is a freelance performer and acting coach residing in Central Florida, with a theatrical history spanning more than twenty-five years. 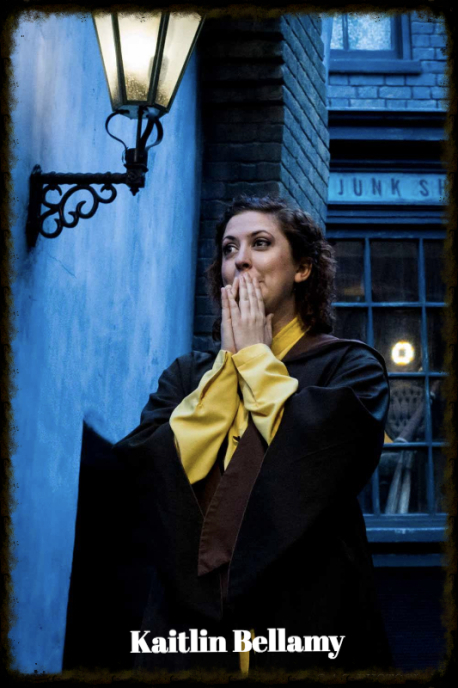 Since relocating to Orlando in 2012, she has worked at multiple theme parks and various theatrical venues, in a career style she calls “Buffet Performing:” or, the idea of keeping several jobs active at any given time, so she may pick and choose where to work, and life never gets boring. Her specialties include Shakespeare, Voice Acting, and Puppetry. But above all, she is passionate about the performing arts, and all they stand for.